First impressions count, and sometimes attracting new clients or customers is as much about the visual aspect of your business and its gardens as it is about the service you provide. Jungle Gardens commercial grounds maintenance solutions can help you start off on the right foot with potential customers thanks to well-manicured grounds and beautiful gardens. Servicing the Illawarra and Southern Highlands regions, our qualified team is equipped to maintain even the most difficult of commercial grounds and gardens. Our services include lawn mowing and garden maintenance, weed control, mulching and garden care in addition to pressure cleaning and walkway/driveway cleaning. Our experienced team is dedicated to ensuring that your garden is kept healthy and beautiful through regular appointments or an equally productive one-time garden maintenance service. Each appointment is carried out by our qualified horticulturalists and parks and gardens trained labourers to ensure the best result possible. We also ensure all jobs are completed safely, by complying with all Work Health & Safety Regulations, providing a safe and healthy place to work for all staff, contractors and members of the public one. You can count on the team at Jungle Gardens to get the best possible outcome for your grounds and gardens. 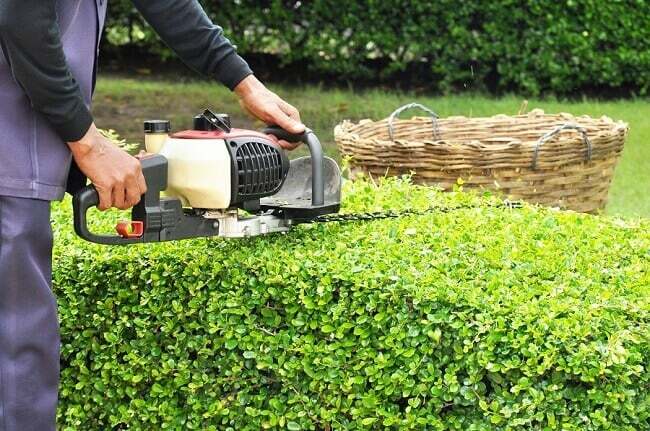 The grounds maintenance services offered by Jungle gardens are designed to keep your business premises looking their best. Our high standards and skilled team mean that we can deliver landscaping and grounds maintenance services to a large range of businesses in a variety of industries. Whether your premises have large sloping lawns or small manicured gardens we can help maintain the grounds on a regular basis and ensure your garden is healthy and lush. We guarantee that you will be satisfied with our strong commitment to delivering only the highest quality services at the most competitive industry prices. Jungle Gardens is fully equipped with both an outstanding team and only the best of products and tools and we genuinely just love gardening. We listen carefully to your needs, ideas to ensure that your premises are functional and meet your requirements, while also coming in on time and on budget. And getting the job done, safely. So give us a call today to book in your next appointment!